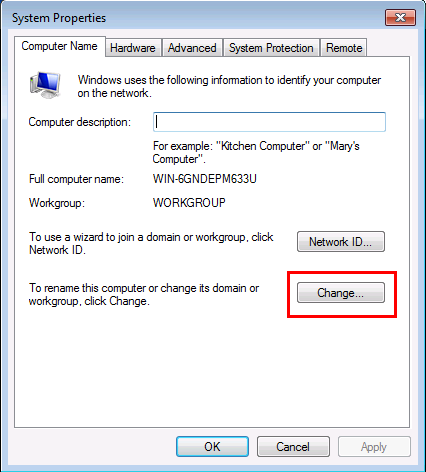 A Windows 7 computer name must be unique on the network so they can communicate with each other. This rule also applies to Windows XP and Vista. Each computer on the network must have a unique name and the same workgroup name in order to share files and printers. 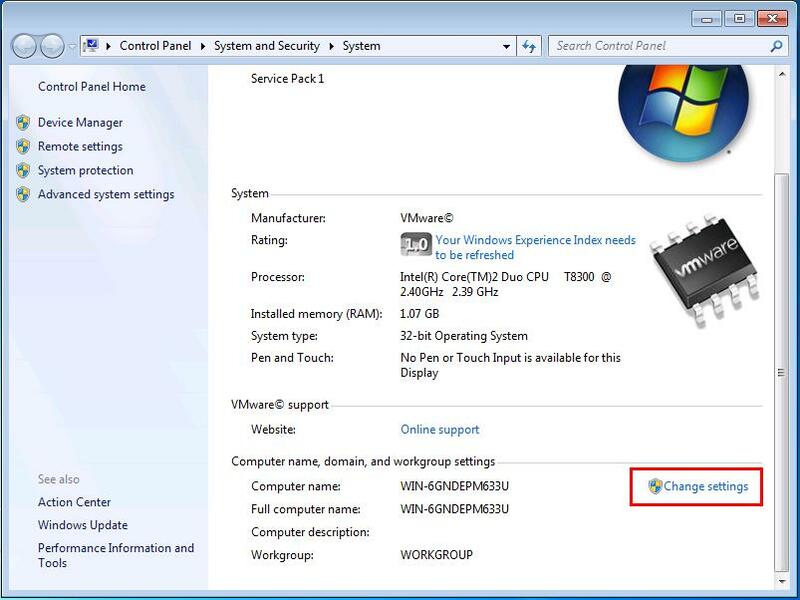 The default workgroup in Windows 7 is WORKGROUP. 1.) Click Start, then right-click Computer. In the drop-down window click Properties. 2.) The System window will appear. NOTE: If you are prompted for an administrator password or confirmation, type the password or provide confirmation. You can type a Computer description of this computer if you want. NOTE: You can click Network ID to launch the wizard that helps you join a domain or workgroup. 4.) The Computer Name/Domain Changes window appears. Under Computer name: type the name you want to change your Windows 7 computer to. 5.) Under Workgroup: type the workgroup name you want to join. You have now joined the workgroup.